Who is She and Why Her Salmon? Have you heard of this river and her large Atlantic salmon? The Restigouche River and her very large Atlantic’s have been kept off the public’s radar from the time of Dean Sage (The Restigouche and its Salmon Fishing, published by David Douglas, Edinburgh 1888) till the present day. Why is this you ask? 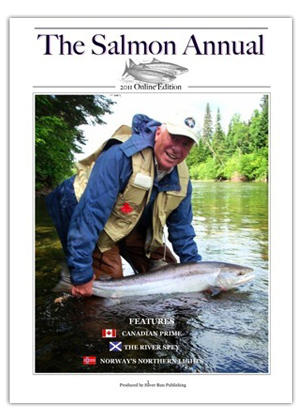 We all know of the Miramichi River, New Brunswick, Canada’s very popular and accessible river for salmon anglers. This other New Brunswick River has been hidden in the dark shadows due to her exclusive private water, fished only by the private owners, their guests and a lucky few. 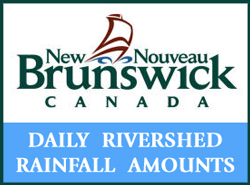 The Restigouche River is wedged between the Canadian provinces of Quebec and New Brunswick. She enters the Bay of Chaleur at the western most end flowing along the shores of Campbellton, NB https://en.wikipedia.org/wiki/Chaleur_Bay The Restigouche River Lodge is located in Mann’s Mountain, New Brunswick, Canada. The lodge fishes five miles of private water on the Restigouche. The camp itself sits on the New Brunswick shore in the center of the five mile stretch a short canoe ride to all of our pools. 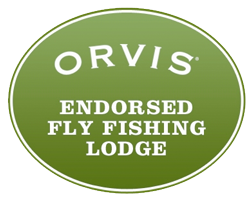 The Restigouche River Lodge affords you the opportunity to book a trip and fish this river. Fly fish over bright Atlantic’s fresh from the salt. Salmon destined for one of the Restigouche’s five tributaries, you will cover them all. Experience all the Restigouche River Lodge has to offer, yes it is right under your nose. World class Atlantic salmon, the luxury of a truly private lodge experience reminiscence of yester year. 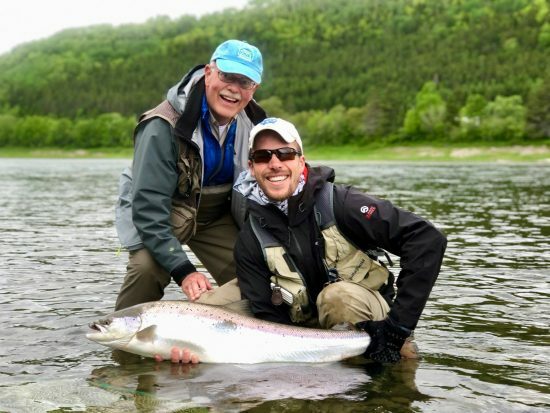 The partners and staff invite you to join us on the Restigouche River.